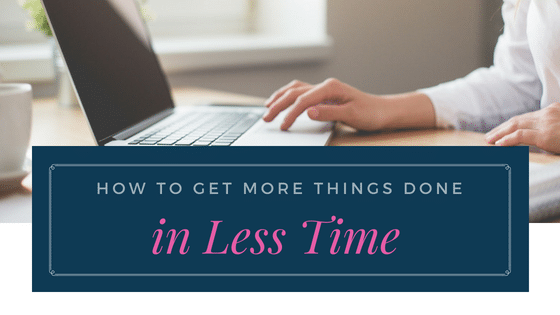 Ever felt like there seems to be not enough time for everything? Like you’re not getting enough done everyday? And no matter how efficient you try to be, you still feel like a failure in productivity. The key here is not in working harder. But in working smarter. All of us are given 24 hours each day. How we use that time makes the difference. 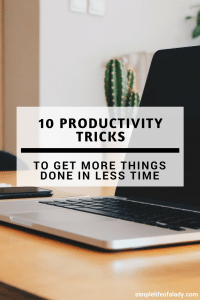 Here are ten productivity tricks that can help you get more things done in less time. They have worked for me. Try them and they just might work for you too! 1. Work on one major task at a time. Whatever work you do, whether you are writing an article, drafting a presentation, preparing a report, crafting a design, or anything that needs concentration, decide that you are going to work on only that at a particular time. If it is one big task, break it down into several increments. Let’s take writing for example. You can break it down into the following minor tasks. Then assign how much time you’re going to devote to each minor task. For a total time of 3 hours and 50 minutes or simply, four hours. In four hours, you have only one task to do – write your article. At this time you are NOT going to open your emails and your social media accounts. You are also not going to take phone calls or chats from your colleagues or friends. It’s a time strictly devoted to writing. Now it’s up to you if you are going to work straight for four hours or you want to break it down into increments, like for example, 2 hours in the morning, then 2 hours in the afternoon. Or one hour in the morning, two hours in the afternoon, and one hour at night. As long as you know that writing your article needs four hours to finish, and when you’re doing it, you’re not doing anything else. Your mind is solely focused on it. When I learned about this technique I immediately decided to give it a try. The Pomodoro technique directs your focus into a task by breaking it down into 25-minute increments. 1. Get a timer and set it to 25 minutes. Use a device that works handy for you. Mine is just my phone. You can also use an alarm clock, a sand timer, or a pomodoro. Honestly, which device you use doesn’t really matter, so long as it measures 25 minutes and it alerts you when your time is up. 2. Work on your task until the alarm goes off. You’re not going to do anything else here but the task. 3. Set the timer to 5 minutes and have a 5-minute break. Take a little walk, drink water, go to the restroom, check your phone, chat with a friend. Anything! If you estimate that chatting with your friend will take more than 5 minutes, save it for later. If opening your social media will make you spend more than 5 minutes on it, again, never mind, save it for later. That’s why it’s very important here to set your timer to 5 minutes. To alert you that your little break is over and you need to go back to your work. 4. Repeat the process for three more times. Yup! Just repeat the 25-work and 5-minute break routine for three more times. If you’re counting in your head you now have a total of 2 hours after this. 5. Take a longer break for 25 to 30 minutes. You may now check your social media. Or chat with your friend. And of course don’t forget to take some snacks! I tried this and yes, it has helped me concentrate. I used it to draft this blog post, do some laundry, prepare meals, wash the dishes and clean the kitchen, feed my ducks and chicken and clean my room. 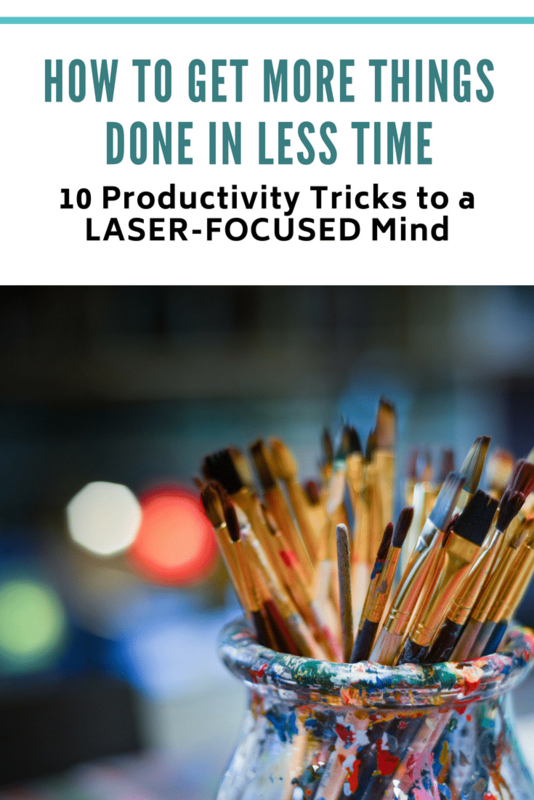 This is another thing I love about the Pomodoro technique – because it can be used for any activity! I even used it to get motivated working on a task that I have put off for so long because I didn’t like it. The Pomodoro technique works well for me because it makes me aware that time is ticking. It forces me to focus because I know that I have to finish before the timer goes off. So my urge to finish the task is ignited. I also feel successful whenever I finish a task. It also serves as a good reminder to me to drink water because I often forget to drink water. I just drink after meals. So if I have three meals a day, I only get three glasses of water each day. Now some of you might get irritated by the timer which goes off every 25 minutes. It might even take you off your concentration if you are used to working straight for an hour or two. In that case, you can do some modifications to the Pomodoro technique. For example, instead of setting a 25-minute working time, you can set it to one hour, then take a 10 to 15-minute break after that. Or you can set a working time for two or three hours, then take a long break after that. You get the idea? 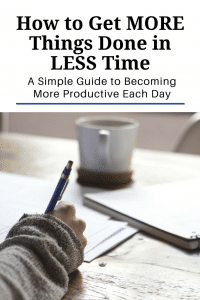 See related post: The Pomodoro Technique: Will It Really Boost Your Productivity? 3.No emails. No social media. No push notifications. NO cellphones please. If you are constantly checking your cell phone for texts, emails and social media feeds, how well do you think can you do your job? The devices we have (mostly laptops, desktop computers and smartphones) are great productivity tools in business. We can bring much profit into our business because of them. And we need to be connected to devices for work. These devices and our need to be connected are not bad things, but they must be managed so that they help us do our jobs and not keep us distracted. Log out of your email account if you will work on your computer. Do not open it until you are finished with your task. Turn off your cellphone if you are in a meeting. Keep your phone out of reach, where you don’t see it constantly (like inside your bag or your cabinet). Schedule specific time for checking your phone, email and social media and stick to it! You can even schedule when you will make or receive calls so that you don’t get interrupted by a ringing phone from time to time. 4. Listen to uplifting music. Remember those days when you’re very unmotivated to work, then suddenly you hear some sort of melody and rhythm and it got you on your feet? That’s what an inspirational music can do. If you want more productivity, listen to music that inspire you. One powerful trick is to play concentration music – the instrumental types that just don’t have lyrics. I know. Your favorite music just happened to have lyrics. But pay attention to this. According to a research done by Cambridge Sound Management in 2008, productivity is lost when your focus shifts from your work to figuring out what someone is saying. When it comes to music, your focus shifts from what you are doing, to its words! So music without lyrics wins! Here are examples of upbeat music from Youtube which I played when I wrote this post. Try them too! 5. Learn to say NO or LATER. I must admit this is often hard to do, especially if you want to please the people around you. Or… you’re a generous person who just really want to be helpful. But listen to this. It is also important that you let people know of your priorities. Because almost always, people around you will interrupt you while you are working, whether you work from home, or in a cubicle in a corporate office. It is best to be upfront and tell them that for a while, you can’t be disturbed. If they need to discuss something with you, you’ll get back to them later. There is nothing wrong with this. Some of your colleagues and friends might be irritated or disappointed, but when they see that it’s nothing personal, they’ll get the hang of it. When it comes to invitations, there will be some that just won’t align with your priorities. Politely decline. Say No, I’m sorry. I’m not available in that schedule. If you are not comfortable saying No to other people, and you always say Yes when actually you are thinking No, you will definitely need some practice. Here’s an article that can help you with this. 6. Have a paper by your side to write down random thoughts while you are working. This is a very simple trick if your mind keeps on wandering when you work. Perhaps you’re thinking about what could be a perfect dinner. Or about the bills that you have to pay this month. Or the visitors coming over during the weekend. Whatever it is you’re thinking, don’t let it distract you. Don’t let it stay in your mind. Unload it on a paper so that you can just go back to it later. Then you can give it the attention it needs. Why didn’t I organize sooner? Neuroscientists at Princeton University conducted a research on people’s performance. They found out that people who work in an organized environment performed better than those with disorganized space. 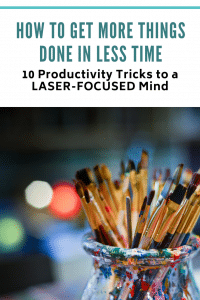 So even if you think you can concentrate on a cluttered environment !like I did), the truth is your focus is still restricted by the clutter, making you less productive as you can be. If you find it hard to get organized, do not be discouraged. Do you know that you can start becoming an organized person by decluttering for only 15 minutes a day? Yes! You read that right. Only 15 minutes. I was a very messy person too. Then one day I just couldn’t take it anymore. Seeing the clutter around me made me feel even more stressed. So I thought that perhaps I could manage to declutter for only 15 minutes a day. After all, what is 15 minutes? Now I’m happy to say that I’m working in an organized space, tasting the fruit of my labor. Getting my things organized did not happen overnight, but that 15 minutes made the difference. You don’t have to keep working in a cluttered environment. You can organize with just 15 minutes of your day. 8. Have a daily to-do list and fill it up the night before. Making a to-do list is a simple system that reminds us of what needs to be done so that our minds don’t have to remember everything. You may not be aware of it but tasks that we haven’t finished yet add to our distractions. However, writing them on paper and planning when to do them free us from the uneasiness and concern we feel towards these tasks. Here’s a study conducted by Professors Masicampo and Baumeister that supports this fact. Also, fill up your to-do list the night before. This way, when you wake up, you don’t have to think about what you will do because you have already laid them out the night before. You’ll feel more relaxed, having a clear picture of your priorities for the day. If you don’t have a to-do list yet, you can grab a copy of my intentional to-do-list here for FREE. Overwhelmed with your to-do list? 9. Get a good night rest. According to the National Sleep Foundation, adults need 7 to 9 hours of sleep every night. However, American Sleep Association reports that 37% of adults aged 20-39 and 40% of those aged 40-59, sleep less than 7 hours each night. Do you feel that you are not productive? Maybe you are just sleep deprived. Lack of sleep affects your attention span. You will not have the energy for work that needs high level of focus. It also makes you vulnerable to stress. You may get exhausted after just a few minutes of work. So give yourself 7 to 9 hours of sleep every night. This prepares your body and mind for heavy workloads. Good sleep also boosts your mood and creativity. Be thankful and satisfied with what you were able to complete each day. There will be days when you might not complete what’s in your to-do list. Don’t beat yourself up. This happens to everybody else and it’s okay. Take a rest and prepare for the next day. Don’t forget to take regular breaks as well. It’s not wise to be caught up with the urgency of this past-paced world. You are your most important asset. Take good care of yourself. Give yourself vacation time at least once a week. Your body requires rest to rebuild and recharge itself. This is also a good opportunity to enjoy the company of your family. I’d love to know about you. What is your favorite productivity trick? Hit the comments below! If you found this post helpful, then take a second to PIN it! Sharing is caring!